NOTE: ALL TIMES ARE CENTRAL. ALL TIPS ARE EMBARGOED UNTIL THE TIME OF PRESENTATION OR 3 p.m. CT/ 4 p.m. ET EACH DAY, WHICHEVER COMES FIRST. Women who have migraines may have an increased risk of stroke, according to a preliminary study presented at the American Heart Association’s Scientific Sessions 2016. Researchers studied 917 women who were being evaluated for heart disease and found those that had a history of migraines (224 or nearly 25 percent) were at higher risk of a future cardiovascular event – notably stroke. Compared to those who did not report a history of migraines, women with a history of the headaches had an 83 percent higher risk of a cardiovascular event, including stroke or heart attack, during an average six-year follow-up. Women with history of migraine were 2.33 times more likely to suffer a stroke during the study than women who didn’t report migraines. Cecil A. Rambarat, M.D., University of Florida, Gainesville, Florida. Cardiovascular health status and emotional impact of traumatic life events have an effect on atrial fibrillation risk, according to two preliminary studies presented at the American Heart Association’s Scientific Sessions 2016. In the first study (T2005), researchers studied how the American Heart Association’s Life’s Simple 7 cardiovascular health metrics affects atrial fibrillation risk. The researchers examined 6,506 adults from the Multi-Ethnic Study of Atherosclerosis who were cardiovascular disease free at the beginning of the study. Each component of the Life’s Simple 7 metrics (smoking, body mass index, physical activity, diet, total cholesterol, blood pressure and blood glucose) was assigned points: 2 points for the ideal category, 1 point for intermediate and 0 point for poor. likely to develop atrial fibrillation compared to those with inadequate scores (0 to 8 points) while adults who had average scores (9 to 10 points) were 8 percent less likely to develop atrial fibrillation. Promoting ideal cardiovascular health might help prevent atrial fibrillation, researchers said. In the second study (T2125), researchers examined the association between psychological stress and atrial fibrillation in 26,208 women. The women answered questions about perceived stress, including being upset by something unexpected and lack of control; work stress, such as excessive work or conflicting demands; work-family conflict; financial stress; traumatic life events, including the death of a child; everyday discrimination, such as lack of respect or poor service; intimate partner stress or how judgmental they thought their spouse or partner was; and neighborhood stress, including safety and trust. They found that women with atrial fibrillation had notably higher perceived, financial, traumatic life event and neighborhood stress scores compared to women without atrial fibrillation. But only traumatic life events were associated with atrial fibrillation. Studies examining if stress relieving interventions may impact atrial fibrillation risk are needed, researchers said. 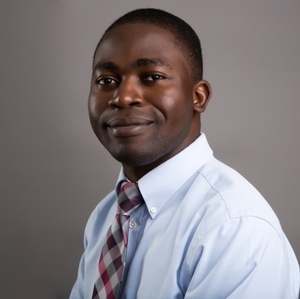 Contact for the Life’s Simple 7 study (T2005): Oluseye Ogunmoroti, M.D., M.P.H., Baptist Health South Florida, Miami, Florida. 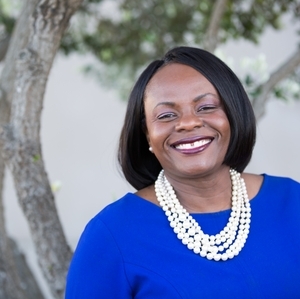 Contact for the traumatic stress study (T2125): Michelle A. Albert, M.D., M.P.H., University of California, San Francisco, California. Low-frequency hearing loss is associated with systemic endothelial dysfunction and carotid intima-medial thickness, according to a preliminary study presented at the American Heart Association’s Scientific Sessions 2016. Endothelial dysfunction (malfunction of cells lining blood vessel walls) and carotid intima-medial thickness (measure of carotid artery thickness) are both predictors of heart attack and other cardiovascular events. Researchers studied existing hearing information on nearly 4,200 patients in the Framingham Heart Study’s Offspring Cohort, which included people who had systemic endothelial dysfunction and carotid intima-medial thickness. Among the people studied, 9.4 percent had low-frequency hearing loss. They found carotid intima-medial thickness was 16.6 percent more likely in those with low-frequency hearing loss than those with normal hearing. An abnormal finding on a hearing test was notably associated with impaired brachial artery flow-mediated dilation percent, a measurement made by ultrasound that is indicative of overall vascular health. Low-frequency hearing loss was seen 10.3 percent of those with impaired flow-mediated dilation percent, compared to 8.9 percent with preserved flow-mediated dilation percent. Other hearing loss types were also associated with increased risk for impaired brachial artery flow-mediated dilation percent, including low sloping and age-associated high frequency hearing loss. Patients with hearing loss might be at higher cardiovascular risk, researchers said. Michael Widlansky, M.D., M.P.H., Medical College of Wisconsin, Milwaukee, Wisconsin. Coronary artery calcification testing detects coronary atherosclerosis (hardening of the artery) in women considered at low risk for heart disease and could be used along with traditional risk factors to help guide preventive therapies in this low-risk population, according to a study presented at the American Heart Association’s Scientific Sessions 2016. 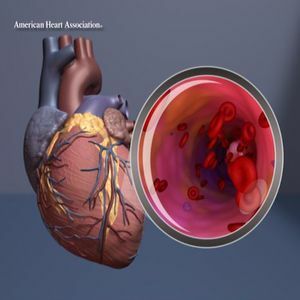 Researchers studied 6,739 women with 10-year atherosclerotic cardiovascular disease risk of less than 7.5 percent, meaning their 10-year risk for a cardiovascular event, such as a heart attack, stroke or atherosclerotic cardiovascular mortality, was considered low. They found more than a third of the women thought to be at low risk for cardiovascular events, had coronary atherosclerosis. And the presence of coronary artery calcification was associated with double the increased risk of atherosclerotic cardiovascular disease in the following decade. However, further considerations regarding the cost-effectiveness of coronary artery calcification testing in low-risk adults is needed before determining its ultimate role, researchers said. Moreover, the final decision regarding application of coronary artery calcification testing among low-risk women remains to be verified in randomized controlled trials assessing the value of such testing in improving the outcomes. Maryam Kavousi, M.D., Erasmus University Medical Center, Rotterdam, Netherlands. For more news from the AHA’s Scientific Sessions 2016 follow us on Twitter @HeartNews #AHA16. Heart illustration with magnification of the artery.